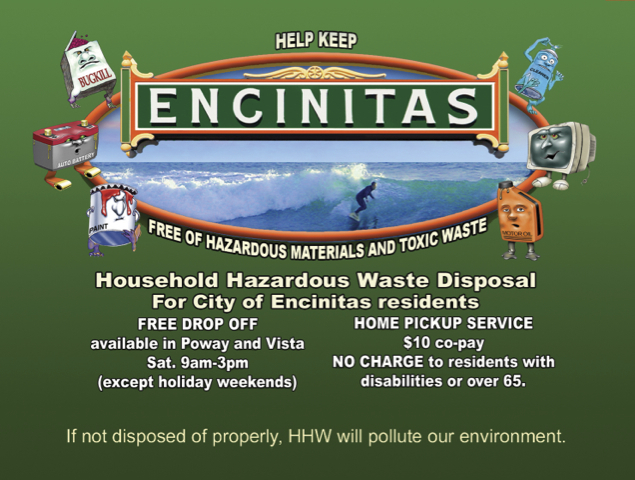 A Joint Powers Agency (JPA) comprised of the cities of Del Mar, Encinitas, Escondido, National City, Poway, Solana Beach and Vista. 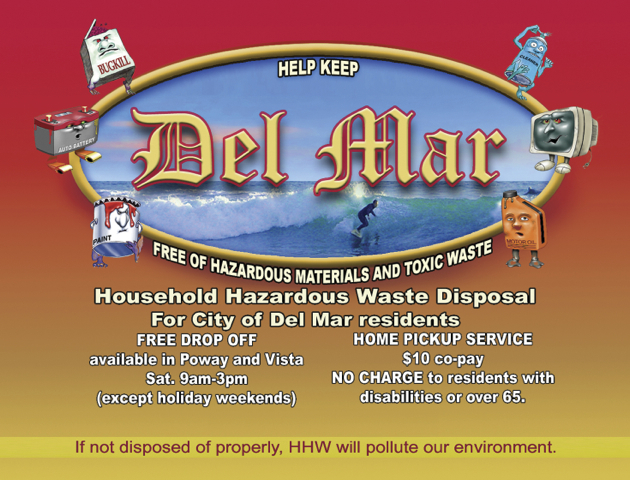 The Regional Solid Waste Association (RSWA) is a Joint Powers Agency (JPA) comprised of the cities of Del Mar, Encinitas, Escondido, National City, Poway, Solana Beach and Vista. The primary purpose of the RSWA is to provide stable, long-term, environmentally responsible, cost effective options for all aspects of solid waste disposal including recyclables and hazardous waste. 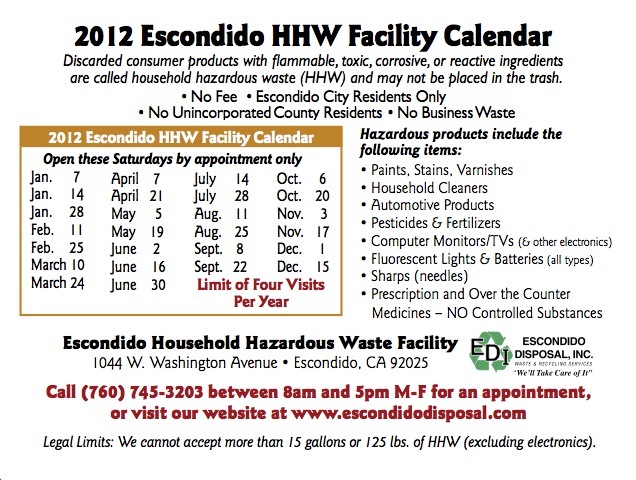 Residents of member cities can utilize permanent household hazardous waste facilities in Poway, Vista and Escondido or call for door-to-door pick-up at 858-481-SAFE (7233). 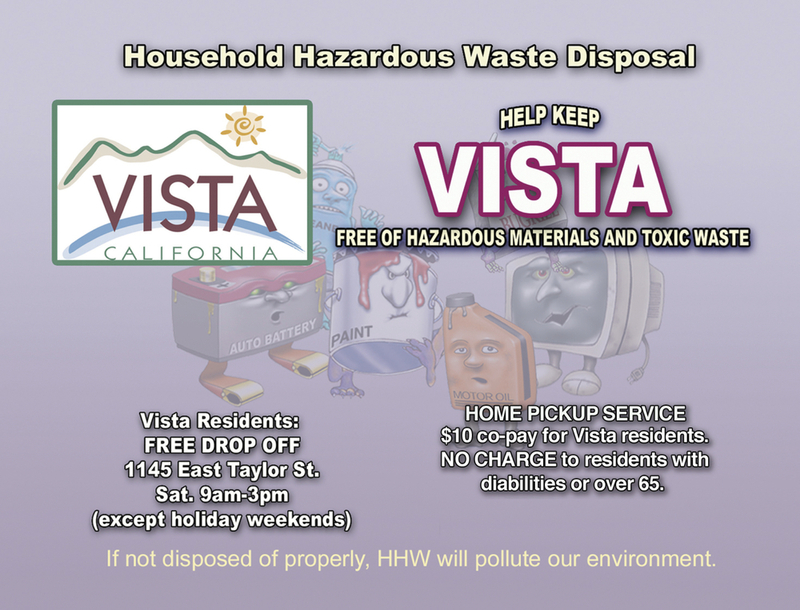 Residents of contract cities, Carlsbad and San Marcos may only use the Poway and Vista sites and the door-to-door program. 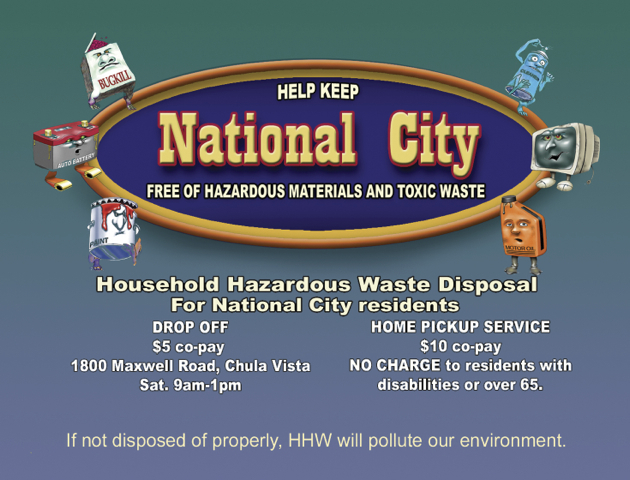 Other cities and the county have not contracted to use the RSWA facilities, therefore residents must check with their own jurisdiction for proper disposal options.